I’m not among the millions who regularly watch Duck Dynasty on A&E network, but I am among the many millions who will avoid the network in my future viewing choices. 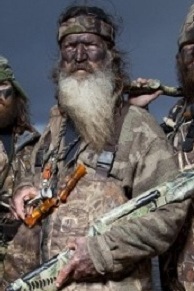 The network’s #1 smash hit is headed by patriarch Phil Robertson. Robertson was asked during an interview for GQ magazine about morality. He cited the Bible, and when asked to explain or expound upon his stance on homosexuality, he explained in graphic, somewhat crude language why he couldn’t understand the desires of homosexuals. The network then suspended him. What’s now clear is that A&E has managed to incite a backlash against the network, and it’s obvious that the network is responding to political rather than market-based concerns. In the free market, a network wouldn’t suspend the star of its top-rated show for simply stating his religious beliefs. No, this case isn’t about the intolerance of Phil Robertson, but the intractable, unflinching orthodoxy of the rabid left. The intolerance is all theirs, but there exists a dirty little secret: They’re only willing to shut down conservatives, Christians, and capitalists, while they cringe in fear of Muslims, feminists, leftist groups, and the homosexual lobby. There’s an important lesson in all of this for conservatives generally, but Christians particularly: They don’t fear you, and you’ve given them no reason to think otherwise. Could a news outlet or magazine make such a remark about any group if they happened to be other than Christian? This lead-in typifies the mindset not merely of those in leadership at A&E, but of the entire media establishment. “Bible-thumping?” Who does Magary think he is? Bill O’Reilly? This should set the tone for you quite aptly. With a lead-in like that, you can guess that it won’t be long before the GQ writer seeks to create a controversy. The term “Bible-Thumper” has become so widely used in the media that Christians are now adopting it to describe themselves as a way of scorning the elites who look down their noses at Christians generally. Fans aren’t happy with this suspension either, and the backlash is growing, as a new Facebook page that has already garnered nearly seven-hundred-thousand likes, and there are other pages on the social networking site having similar results. While there can be no expectation of “free speech” on a network one doesn’t own, this sort of cultural brow-beating is standard fare in leftist circles. In his contract, there may be language prohibiting him from making such statements publicly, in which case he is bound by the terms of the contract, but here’s the real problem for A&E: While they are free to suspend him if his contract allows it, they are also bound to bear the consequences in the marketplace. If the market recoils against them, and if they find even more people joining the fray of public discourse against them, it’s all their problem. If the move gains the network market-share, then it’s all their benefit. There’s a lesson in all of this for those who happen to pay attention: Christians may temporarily blow up your phone lines, but they won’t blow up your building, and executives at the A&E network know that too well. They can stand to tolerate a few days of melted phone lines, but once the issue fades in prominence, they’ll go on as before. The leftist media culture is rife with bullies who are willing to pick on faithful Christians, but won’t say the first word in opposition to radical Islam, or even acknowledge its existence, lest they find themselves the target of a fatwa. I’m not suggesting that Christians should strap suicide vests on their bodies and run into the A&E Network’s headquarters, but I think this helps to demonstrate that Christians, who mistakenly turn the other cheek until they’re beaten into submission. 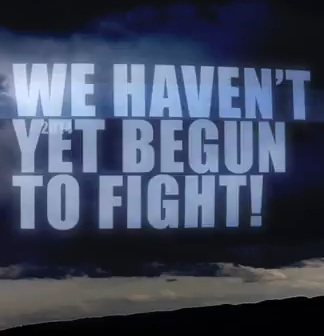 Christians don’t fight back. They have been taught that only the “meek” shall inherit the Earth, not understanding the real meaning of Matthew 5:5. It was an admonition to submit to God. It was not a demand to lay supinely in acceptance of any torment in the offing from all comers. Christians and conservatives must begin to understand the affliction that they too readily bear. Consisting in part of the radical left’s tireless war against American culture, this is a real campaign being fought daily. The left, radical Islam, the associated and cohort groups all bear ill will against traditional Christian values, and American ideals and traditions in general, either to subvert them or erase them from our nation. A&E’s fault in all of this lies in the fact that they are more afraid of people who do not regularly watch their network than of those who routinely tune to see Phil Robertson and his family. A&E is more interested in portraying the Robertson clan as backwoods bayou bumpkins than in showing a God-fearing family that accepts the teachings of their Bible. They don’t want to offend Muslims, homosexuals, or anyone else in the process, unless they happen to be capitalists, Christians, and/or conservatives, in which case it is not merely acceptable but entirely intentional. Christians and conservatives must begin to make their voices heard in unison, because it’s their culture that is under fire. The time for cheek-turning should have passed, and it’s high time conservative leaders step forward to say as much. Thankfully, some already have. (Sarah Palin here, Ted Cruz here, and Bobby Jindal here.) Now it’s your turn. As the rabid left seeks to turn the GQ Robertson interview into the 2013 version of Rush Limbaugh’s Sandra Fluke remarks, conveniently taking the focus away from Obama-care, it’s time for conservatives, particularly Christians, to understand all of these things as a coordinated attack against them. While A&E is a shameless trollop acting on behalf of the general leftist ideology, they are performing a service to Barack Obama that money could scarcely buy. Obama-care’s massive failures are sliding from the headlines, and this changing of the subject over a TV show will permit them to carry on. The truth for conservatives in general and Christians in particular is that the left doesn’t fear you. They see you as having been de-fanged by your own ethos, and they use your most generous virtues against you. It’s time to see them for the monsters they are, speak out at will, and make all of your purchasing decisions accordingly. It’s time for them to fear your market power if they will fear nothing else. It’s time for them to fear you at the polls if they will see no other threat from your number. It’s long past the time for all real Americans to roar and I don’t care if the statist left sneers at that description. The time for silence on all fronts is over. They need to fear the continuance of their Jihad against us. Editors Note: The truth about A&E and its show is that it was never intended to capture the audience it now enjoys, but was instead meant as a vehicle by which to mock Christians and conservatives. Once it backfired and became a wildly successful show, they had to find a way to bury it culturally. For what other possible reason would they place beeps and bleeps in the audio track to cover profanity that never occurred, as per Robertson’s testimony in the video above? They wanted to reinforce a stereotype. Update: As of this hour, the boycott A&E page on Facebook now has over 1.1 Million likes. Not surprisingly, this group of leaders show up for the important things. Other so-called leaders were nowhere to be seen. Certainly, President Obama wasn’t around, and Marine 1 was seen leaving the White House during the extended event that included veterans carrying and depositing sections of “Barry-cades” at the White House, notably, one double-amputee on a Segway who loaded a section of the barricade and carted it with him. These are the men and women our President and Harry Reid choose to dismiss. 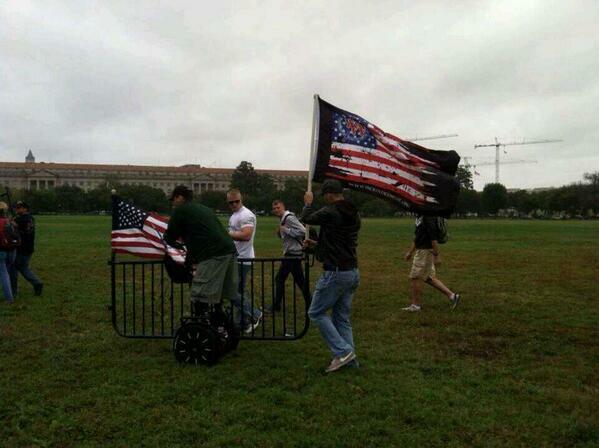 These are the people who are “radicals,” “extremists,” and “zealots” in the estimation of the Washington DC elitists. The simple truth is that men and women who have given their service honorably and often at great(or ultimate) personal cost to this country should never be barricaded from memorials. Never in any previous shutdown have these memorials been barricaded, and the truth is that it costs more money to barricade them than to have left them open. This spectacle was brought to you by none other than Barack Obama, along with his cronies and henchmen, all attempting to bring unnecessary pain to the American people. As police v. protester “clashes” go, this one was pretty mild, thankfully, and you could hear in this and similar video clips the veterans urging one another to remain “cool” and to otherwise prevent the situation from getting out of hand. These are America’s vets, mobilized, honorable, and patriotic. Meanwhile, the DC elite bring out the riot police to try to close down an event that should never have been necessary but for the President’s insistence on closing down memorials that have never been closed before. I would like to thank all my honorable brothers and sisters, young and old, who showed up for this event. I also think we owe significant thanks to Governor Palin, along with Senators Cruz and Lee, for running interference and making it more difficult for the riot police to attempt to sweep this up and bury it. The media did its level best to either ignore or mock the event. The truth is that American veterans and patriots rallied on Sunday in defense of our liberties and against a tyrant, and whether the mainstream media covered it or not, you should know of their efforts. This must be the beginning of taking our country back. 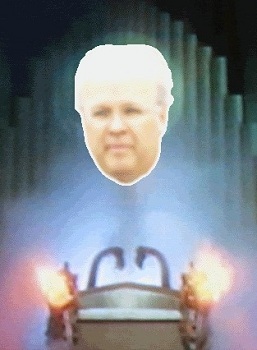 It seems like a day doesn’t elapse without catching a glimpse of Karl Rove and his whiteboards on FoxNews. From the sounds of things, you might come to think he’s in charge of something at the GOP. Unfortunately, while he holds no official office, he’s always working on behalf of his patrons in the party, and he serves the interests of the surrender-monkey wing of the Republican party. Steve Schmidt, the architect of McCain’s loss in 2008, is another example of the sort of consultant with which DC Republicans seem to surround themselves. Schmidt is still bitter over his 2008 defeat, and he blames much of it on Sarah Palin. The truth is that she was the only good thing about the ticket, and exit-polling demonstrated quite clearly at the time that McCain would have done far worse without her on the ticket. It was Schmidt’s bright idea to have McCain suspend his campaign, and that was precisely the root of the collapse in McCain’s support. Looking to blame his own strategic failings on somebody – anybody – Schmidt is still on the Palin-hater bandwagon because to regain any credibility in his profession, he must shift blame to somebody else. These consultants are one of the biggest problems grass-roots conservatives face because they tend to turn candidates against their base, and wonder why they lose. Psssst. Hey Steve! We should purge you from the party, since there seems to be no other way to have you shut up and go away. Massive failure doesn’t seem to convince you. Frankly, the reason Republicans lose elections is because they listen to jerks like Schmidt who view actual conservatives as the problem. You see, Schmidt doesn’t recognize actual conservatism, but instead views “conservatism” as a label to be shifted onto his clients who in no way match the meaning of the term. If one wishes to see this at work, consider only the Bush campaigns of 2000 and 2004. Here, you had Rove positioning Bush as a “compassionate conservative,” when it was evident(or should have been) that Bush wasn’t conservative, and that he would wreck actual conservatism by the false association. 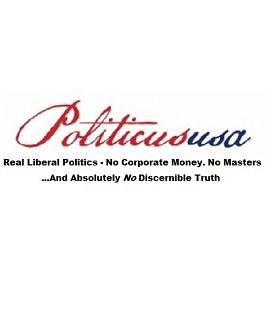 In 2006, when Republicans lost the Congress, it was on the basis of this bastardized notion of conservatism. The Republicans lost control of Congress because under Bush, they were spending just like big-spending Democrats. It had been consultants like Schmidt and Rove who led the GOP to that and subsequent defeats. If you want to know what constitutes a real freak-show in the Republican party, it is the unparalleled spectacle of hucksters in the consultancy class attempting to pass off moderates as conservatives. It is the inglorious pinnacle of asininity to pretend now that John McCain is conservative, and even more galling to pretend that his policy positions represent conservative principles, and yet con-men like Schmidt labor endlessly to carry out that fraud. When McCain was up for re-election in 2010, you may remember that the McCain camp had no problem soliciting the help of Sarah Palin, but now they betray her with this nonsense about “freak show” and alleged “asininity.” McCain might have been beat in the 2010 primaries without her, but does that fact earn even the smallest bit of respect from a hateful little troll like Schmidt? No. You see, in his book, it’s all about him. Admitting that Sarah Palin did more to boost either McCain’s 2008 presidential campaign, or his 2010 Senatorial re-election campaign would be to admit that Schmidt is entirely useless, never mind the candidate in question. The fact of the matter is that Schmidt and those in the consultancy class like Rove, who infamously once claimed that Palin’s endorsement wasn’t “worth snot” don’t have any credibility. For all their alleged gifts and talents as political analysts, advisers, and consultants, they don’t seem to have produced results to scale of their fame. Bush barely managed to prevail over Al Gore in 2000, relying on the electoral college, and in 2004, what should have been a walk-over victory was uncomfortably close against John Kerry, a man who should never be let near the oval office. Worse, under the guidance of Rove, in 2006, Republicans lost the Congress, permitting Barack Obama to have both Houses in 2009. We wouldn’t even be talking about Obama-care had the Republicans not joined Democrats in spending like drunks in support of the George W. Bush spending priorities, which had been massive. It was the participation of Republicans like McCain in the Amnesty kerfuffle of 2007 that helped keep the Republicans in the wilderness too, another great idea from the consultancy wing of the party. How did that work out for us? Democrats kept control of Congress, and Nancy Pelosi and Harry Reid made sure we’d have Obama-care so we could learn what was in it. We’re learning, and the real lesson we conservatives must take is that these professional beltway consultants and advisers are leading us off a cliff. One can only imagine how this went over within the confines of the Republican establishment’s inner circle. Gov. Palin’s plain-spoken truth on the matter is why despite the eye-rolling of the Republican elite, the conservative base of the party supports the former Alaska governor. Her message is much too rare in GOP circles, and while the establishment in Washington DC helps to delay and obfuscate on Barack Obama’s behalf, the truth out in fly-over country is that the American people want the answers on all those issues listed on Palin’s “redneck whiteboard,” and despite the assistance of certain Republicans in helping to cover them, eventually, we’re going to have at the truth. One might run out the clock on this administration, but one cannot run out the clock on the truth. 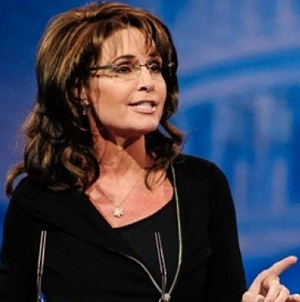 Governor Palin rightly points out that the 2008 McCain campaign failed to make an issue of any of the negative material swirling around Barack Obama, ultimately forbidding her from raising questions about his personal history on the campaign trail. How can anybody be expected to win when they’re fighting with one hand tied? Governor Palin is right: It’s time to deal with these scandals, and Barack Obama should be ashamed for pretending they are all phony, when it’s clear there is so much more to these matters. It’s clear from her response that she too is feeling betrayed by the GOP in Washington DC, and in truth, Gov. 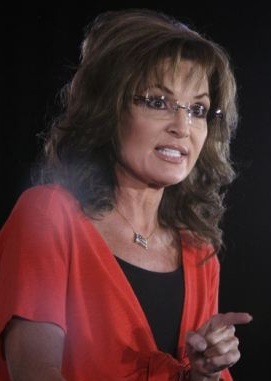 Palin has had to fight against corruption in the Republican Party through much of her political career. It’s no coincidence that she finds favor among the conservative base that so dutifully supports the GOP often times for a lack of better options. 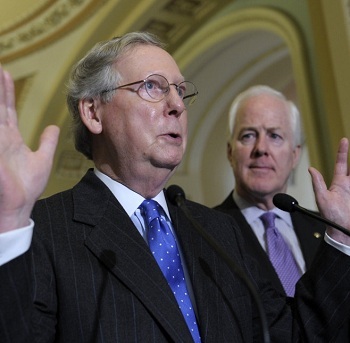 Should the moment arrive that conservatives finally decide to abandon the GOP, I suspect Gov. Palin would be among the first to break ranks simply because like so many of us, she does possess that independent, slightly libertarian streak that courses through most real conservatives. A party named for its primary object makes sense to me, and apparently, to Gov. 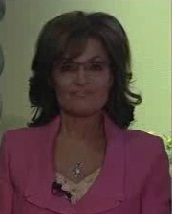 Palin too. Whether a break-away party materializes, we must be prepared to move to support it because quite bluntly, the GOP has been unwilling to move in our direction despite the fact that when conservatives run as conservatives, they win. Combining the intransigence of the Republican Party with its long string of abuses and betrayals of its conservative base, abandoning it may be the only rational choice conservatives may now make. This critique of the bill sums up the shortcomings of the legislation as well as the attitude of the GOP establishment in Washington DC. Here, Palin alludes to the fact that whatever the House may pass, what comes out of conference is likely to resemble the Senate bill as I explained Friday morning. Indeed, this has been the lament of this website for a long, long time, as recently as this morning. Many of us have long ago walked away from the GOP, though we may support some candidates, and others have simply abandoned the sinking ship to its captains and the admiralty of the GOP that has run it aground. Governor Palin is correct: If we don’t turn out backs on this party in light of what it has done on this and so many other issues, it will be our own fault when the country collapses. She concluded with a link to this piece on Breitbart, and it’s critical that one understands how thoroughly destructive the whole immigration bill will be to Americans, particularly American workers. 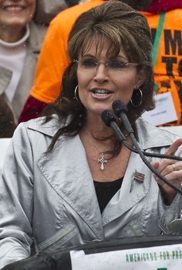 Sarah Palin is one of the only voices with sufficient power to make this argument to the American people, so that they can know in advance what the Congress will have done should the House enact some phony immigration reform bill that will be replaced in conference with the Senate’s amnesty bill. 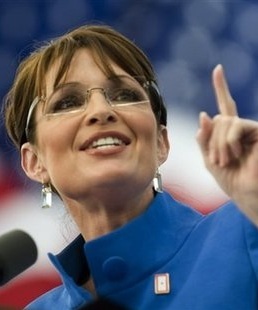 Thankfully, Sarah Palin gets it, and she sees clearly the betrayal that is coming. It’s up to us to lend support to her voice and stand with her in opposition to this bill. It’s our country and its future that hangs in the balance. Writing a Breitbart-exclusive op-ed, former Alaska Governor Sarah Palin sounded-off on Sunday evening over the ridiculous “Comprehensive Immigration Reform” bill pending in the US Senate, and in so doing, she stepped out to join other rare leaders on the conservative side of the debate. Just a few big-name conservatives have been vocal in their opposition to this bill, but this piece by Governor Palin seems to lay down a marker for others in the GOP to consider. The conservatives who have been doggedly fighting against this immigration bill for all its mortal failings have been heartened to see the freshman Senator from Texas, Ted Cruz, stepping up to fight against a terribly abusive and nonsensical bill. With this most direct entry into the fray, Gov. Palin has made clear her continuing ability to lead from the outside, and it is most invigorating to grass roots conservatives that she has chosen this dark moment to speak up and do battle with the DC-Beltway, permanent political class that is trying to foist this bill upon the American people. So it is, and we’ll be there too. You betcha! I readily admit that what makes me less-inclined to be a part of the Republican Party is that all too often, I believe that institution abandons reason for the sake of politics. Too often, I find that these avenues of departure occur on issues in which it seems to me that the party is more interested in getting votes by superficial causes than by doing the harder worker of reasoning with would-be supporters. I tend to have some very libertarian ideas in such fields as economics, in which I believe the best answer is remove government as an influence, for better or worse(as it’s almost always the latter,) from every economic consideration. In this context, it’s easy to understand why I have some significant sympathies with libertarians, because I believe the freedom to choose in a market, rightly or wrongly, and the opportunity from those choices to profit or lose, is as fundamental to human progress as any virtue that has ever existed in human history. Some libertarians over-extend this argument and the best example of this over-extended idea is the fixation some libertarians seem to have with easy immigration and open borders, ignoring all the problems accompanying such ideas, to the extent that the contradictions explicit in their proposals seem to be invisible to them. Far be it from me to let Mr. Gillespie in on a guarded state secret, but “a pandering, rewarding-the-rule-breakers, still-no-border-security, special-interest-written amnesty bill” is the most precisely accurate description of the “Comprehensive Immigration Reform” or “Gang-of-Eight” bill I’ve yet read. This legislation is being pushed as the way to save the Republican Party, by ostensibly enticing more Hispanics to vote for GOP candidates, therefore meeting the precise definition of pandering. The bill ultimately lets people cut in line, despite having broken our laws. It fails to secure the borders as has been promised since 1986. It was created in a devil’s brew of deal-making between the unions and the Chamber of Commerce, for Heaven’s sake. In all respects, it is precisely as Gov. Palin described it. In today’s article, Gillespie goes on to take numerous cheap-shots at Palin, but given the issues of the day, and Gillespie’s distinctly libertarian views, particularly on immigration, I couldn’t resist the opportunity to address this issue. Gillespie is a forceful advocate for libertarian positions, and is particularly adamant in his views on open borders and liberal immigration policies. His article today seemed as though it needed an FEC disclaimer because it read like a campaign advertisement for Rand Paul and also Justin Amash, two Republicans with decidedly libertarian viewpoints. Nick Gillespie would tell you that he is an opponent of collectivism. I too am an opponent of collectivism, but as Rand properly noted, I recognize that there are certain facets of human interaction for which government is the only rational answer. We know governments simply cannot allocate wealth as efficiently or as honestly as a free market, so that government’s sole role in the field ought to be reduced to that of a referee. That’s why we have a court system complete with all the possible avenues of civil redress and relief. We know also that the notion of a collectivized defense is probably the only rational way in which to protect one’s nation against foreign attackers, since we likewise recognize that while we may mean no harm to others, we can’t count on that as a driving motive behind the policies of other nations. In short, we know that there are legitimate roles for government, but that much as our founders would have explained it, those roles are definite and limited. After all, a nation is but a collection of persons, bound by the geographic description of a region, and each of those persons is entitled to a natural right of self-defense, and property, along with a general pursuit of happiness. Together, they have an aggregated right to those same ends, so that it is only natural that they should decide the boundaries of their nation, and how they will be enforced. A nation-state is exclusionary by design, the very object of its creation as an institution being the limiting of who may enter, and under what conditions. National boundaries exist to create a delineation, so that a person may know that as he moves from one nation to the next, one is bound by the laws of the jurisdiction to which one has entered. Libertarians will scream at me here, arguing that every person on the planet ought to be as free(or more so) than had been the residents of the United States. While I agree in principle, what I know about the world tells me this can never be the case. There are no Utopias to be found here. Not even Rand’s Galt’s Gulch can be made on Earth, because there will always and forever be people who choose the shortcuts, the paths of least resistance, and the desire to dominate their fellow man. We may not like it, and we may wish we could create some sort of Heaven on Earth, but it will never be, whether proposed by the statists or the libertarians. This being the case, any organization of people uniting to build a country and creating its laws to guarantee the rights of its residents ought to carefully guard that nation. It must be guarded against invasion and attack, and its quality of life must be guarded to the benefit of those paying for all of this protection. The libertarian mindset is that we must extend our liberties to all humanity through a permissive immigration policy while improving free trade across borders. In this way, they surmise, it is possible to elevate many people’s lives, both immigrant and native-born, simply permitting them to come and partake of the same liberty current residents enjoy. Lovely though it may sound, however, this is at odds with all human experience on the subject, and offers no real hope to those actually deserving to enter. The object of any nation’s immigration policy ought to be simple, and it’s a construct much like the justification for a national defense: How does a given immigrant’s entry comport with the collectivized interests of the nation at large? If this is the standard, and it should be, then we would permit many more immigrants from Asia and Europe, and many fewer from Central and South America. You see, it is right to ask of immigrants: “What do you bring to the party?” The sort of indiscriminate open-borders notions held by many libertarians would destroy the very thing they had hoped to extend to millions more humans. 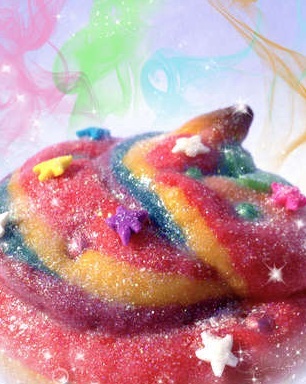 It is this central contradiction, this hole in their reasoning, that damns their ideas on the subject as the child-like tantrums of a dream made of rainbows and unicorns interrupted by the intercession of reality. There’s nothing wrong with such dreams, but once one wakes up to confront reality, it’s time to reconsider. How much evidence does one need to demonstrate that not every person entering the United States shares in those visions of Utopia? If a nation does not control its borders, how is it to discern among the many entrees, or who among them will contribute to or detract from the quality and standard of living in the country? I live in Texas, a border state that has seen its share of tragedies born of those who made it into this country without proper vetting. Scarcely a day goes by without a story in the press about some illegal immigrant who has inflicted untold suffering on our residents. The clear point in all of this is that we have every manner of rational self-interest as individuals, but also aggregated as a nation, to ensure to the degree possible that those who come to our shores will be contributors rather than burdens. I well understand the trials and tribulations of legal immigrants, inasmuch as my own spouse is an immigrant to this nation. She has worked continuously for twenty-two of the twenty-three years she has resided in the US, making her a net taxpayer by a wide margin and providing little in the way of burdens upon the public, by way of her use of the roads and bridges of our state for which she is also taxed. She creates economic activity by virtue of the expenditures of her earnings, and in point of fact, has worked two jobs for most of the last decade. In addition, she works the farm, and has raised a child who is well on her way to likewise becoming a productive American. I understand immigration, because particularly, my mother’s family was one of poor, hard-working immigrants who toiled endlessly to scratch their way to something approximating economic stability. Some immigrants come here precisely for the economic opportunities, with a firmly-held work ethic and a love for their adoptive country, but this does not nearly describe all of them. Sadly, in too many cases, immigrants who come to the United States not to partake of our liberty and our relative prosperity by contributing to it, but instead by finding ways to skim and scam from it. How many now come expressly for welfare benefits? How many come to engage in drug or human trafficking? How many come solely for the attractions of a society ripe for the pillaging? Surely, the latter do not wish to “come out of the shadows” in any event. When my wife filed all of her immigration paperwork, one of the things I had to file was a statement of financial responsibility, stating that I would not permit her to become a burden on the government. I always wondered how it could be that so many recent immigrants could apply for and gain access to welfare-state benefits with laws on the books that would seem, on the surface, to make that illegal. The answer should have been obvious to me: Children. The children born to immigrants are citizens under current US law. This citizenship entitles them to all the benefits available as part of our welfare systems. Health-care, food-stamps, and all the other provisions of the welfare-state are available to the American-born children of recent immigrants. Are we going to provide Section 8 housing for the children but force Ma and Pa to live on the streets? Are we going to provide food assistance to the kids while insisting that Mom and Dad do without? Simply put, if the benefits sufficient to feed a number of children are dispensed on the basis of their needs alone, it will be sufficient food to also care for the parents if they’re smart shoppers. In this way, the alleged barrier to welfare benefits for immigrants is bypassed or mooted. I don’t blame immigrants for seeking out and taking advantage of benefits we offer. I simply believe we should not offer them, but I wouldn’t limit that proscription only to immigrants. Our vast welfare state is an enormous magnet, and one that permits some very unsavory characters to make their way to the US both illegally, and legally, as we have seen in the case of the Tsarnaev brothers in Boston. The truth is that a liberal welfare state is wholly incompatible with a liberal immigration policy, as the experience of post-war Europe has demonstrated. This is because those immigrants will tend to change the culture and the polity of their new country at a rate faster than the subject culture can tolerate, particularly when drawn in all the faster by liberal welfare-state offerings. I also note that for all their wistful pondering over the benefits of an open border, such advocates seem to be all one-way in their thinking. Why is it that this spreading of liberty must occur solely through immigration to this country? Why aren’t the libertarians emigrating, so zealously desirous to see all men free, that they must be willing to take their message to countries like Venezuela and Mexico? Surely, if only they can convince the governments of these third-world nation-states, they could prevail upon the leaders in those stricken countries to simply make their residents free. No? No takers? I suspect not many libertarians are ready to pack their bags for that journey, and with good reason: They wouldn’t stand a chance in Hell. What gave the United States its edge in development and prosperity was not immigration, as Jeb Bush would have you believe. Instead, it was a set of ideals and beliefs taken nearly to their logical conclusion that had set the stage for the American explosion. It was not the immigrants alone, because the industrial revolution had commenced well before the great waves of immigrants at the end of the 19th and the beginning of the 20th centuries. The growth of American prosperity had progressed with the extension of freedom. Those early 20th century immigrants were indoctrinated rapidly in American history and culture, and they quickly blended into the great melting pot, further driving the growth of prosperity. Still, they brought with them some bad things too, including pieces of a polity that preferred collectivism, and it was out of this forge that the progressive era was born. Most of the ideas of the progressive era were really European ideas. Margaret Sanger’s eugenics were well-received in Europe, and one wonders if with his fixation on the fertility of immigrants, Jeb Bush may be a fan. He certainly is in the progressive mold, after all. The point to understand, however, is that when the waves of European immigrants came to the United States, they had an immediate effect on the politics of the nation, both by force of their numbers, and by virtue of their political beliefs, then imported with them to their new home. This will be true of any immigrants in any age, but now, we face a threat of socialism. Some form of statism is dominant in virtually every nation from which we receive immigrants, and yet we do not hesitate even long enough to ask what cultural norms, beliefs, practices, and politics they will bring with them. This is a tragic error. If the United States is or had been the greatest and freest nation on the planet, then it had owed to the foundation laid by our earliest immigrants, our founders and framers. To the degree its polity has changed, it owes in some large measure to the influx of immigrants. My question to libertarians is whether they believe it is possible to import so many souls born to tyranny and despotism without changing the nation for the worse. The one hopeful sign is that immigrants are, after all, the people who fled, whether for political or economic reasons, but if the greater number is for the latter, we cannot say with any surety how well they will reinforce the ideals that had built this country. Some years, perhaps decades hence, when some dozens of millions of new immigrants will have converted this country to just another third-world Republic, will the libertarians who insist now on open borders and liberal immigration policies likewise insist that native-born Americans be permitted to flee? If so, to where? The United States of America has grown and prospered because for the most part, until the last half century, we had taken great care most of the time as to who could come and claim their bona fides as Americans, and under which conditions they could do so. The immigration bill now in process takes no such care, in fact discarding many provisions that might have helped in preventing our eventual collapse under the weight of an immigrant-heavy welfare-state. It’s time for libertarians to wake up, shake off the unicorns and rainbows of their perfect dreams, and realize that there is more at stake than some tortured notion of ideological consistency, of which I am generally myself a big fan. Sometimes, the plane on which one must remain consistent is a good deal more obvious, and this case is one of those: The United States, in order to remain a country into which any would willingly immigrate must remain a country of freedom and opportunity, but if we don’t first protect the culture that had created that freedom and opportunity, those virtues will rapidly diminish and die. Two decades hence, living in a Venezuela-like paradigm, lost in the wild places between totalitarianism and anarchy, it will be of slim consolation to the libertarian, open-borders advocate when he sees finally his dreams going up in flames around him. Time to wake up, Nick. Why Should We Go to Syria? At Saturday’s session of the Faith and Freedom Coalition Conference in Washington DC, former Alaska Governor Sarah Palin made some remarks, and among those that prompted the media to go berserk, she said of the potential of US involvement in that conflict that we “should let Allah sort it out.” I actually saw one site on which she was referred to as an “isolationist” for this view, but such claims are laughable given her in-depth understanding of international trade and national security. I saw another site suggesting that she didn’t know what she was talking about, or wasn’t qualified to comment. Either way, it seemed more likely that the sites and authors in question had more trouble with who said it, or how it was said, because I believe the vast majority of Americans probably side with Governor Palin on this issue. Apart from the fact that most Americans haven’t the patience for another middle-eastern military engagement with indistinct goals and a muddled mission, there are some very practical reasons why she is right about all of this. Mostly, it comes down to the fact that it’s a no-win situation for us, because while the horrors of what is going on in Syria is tragic in human terms, nothing the US can do will effect an end to the suffering, instead only adding to it with our own losses. The reports this past week that the Assad government had crossed Obama’s “red line” on chemical weapons seem not to be as certain or as specific as our engagement should require. There are reports that Sarin nerve gas had been used, and that more than one-hundred had been killed in this manner. If true, it’s an egregious and brutal use of some very insidious weaponry, but it must also be said that if killing one-hundred or more civilians by this manner is a trigger for war, why did it take so long for us to engage Saddam Hussein? In the early years of the Clinton administration, Hussein used precisely this sort of weapon on his own civilians in Southern Iraq. Advocates of intervention in Syria claim that what we should do is enact a “no fly zone” over that country. They insist that this is as far as we need go, but there are a few problems with this thinking. Russia has recently delivered more advanced surface-to-air missile capability to Syria, meaning that our aircraft would be subject to shoot-down in a much more threatening fashion. Is all of this really worth losing our airmen and our aircraft? I don’t see a rational justification. If this were about defending the United States, our men and women will go to the ends of the Earth in pursuit of our defense, but I know few who think we ought to spend their lives frivolously or as a matter of charity, particularly in a place where we have no particular interests or friends. The fact is that the so-called “rebels” are simply al-Qaeda or al-Qaeda-backed fighters much like those who took down Muammar Gaddafi in Libya. Nobody misses Gaddafi, but as the events at Benghazi last September demonstrate, the volatile nature of an environment only loosely-controlled by provisional governments but dominated on the ground by foreign fighters is not the sort of outcome for which Americans should be fighting. Bashir Assad is a brutal dictator, but those “rebels” who face him are not much better. We have seen this scenario play out before, and we’re witnessing its aftermath in Libya and Egypt. 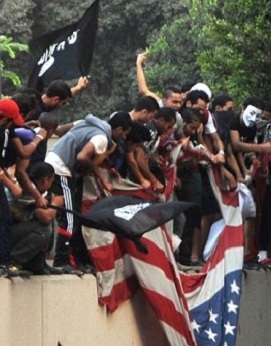 The attack on our facilities at Benghazi was born of a similar situation, inasmuch as after we provided air cover for the “rebels” in that country, they immediately shifted gears and wanted us out as they began to build their Islamic Republic. In this sense, we have no friends at all, by any definition, so that it’s impossible to understand why we would put Americans’ lives at risk to assist any of them. 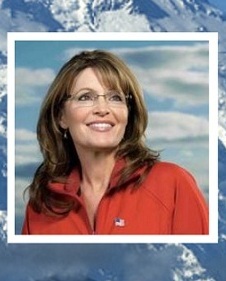 In this context, it is easy to understand Governor Palin’s sentiment. We don’t have any friends there, no real national security interests, and therefore, no justification for jumping in. At the same time, the Russians are heavily invested in Syria and the Assad regime. Iran is pledging forces to his defense. Should we really consider placing our already over-stretched forces at risk for this? Do we risk a wider war in the region if some Russian technical advisers are killed in a raid on a surface-to-air missile site? More, if al-Qaeda-connected groups were to take over Syria as they have done in Libya, what will that mean for Israel that must live under the constant threat of Syria. Which is worse for that island of liberty: A neighbor that is predictably antagonistic and dangerous, or a volatile tempest filled with elements that feel no restraint born of relations to Russia or any other major power? I’m not inclined to guess as to how the Israelis might feel about the matter, but I suspect that an al-Qaeda-driven neighborhood is not the most pleasant prospect the Israelis could imagine. There is one final consideration in all of this, and it goes to the absolutely detestable leadership we’ve had over the last few years: Americans can hardly trust a foreign policy that has squandered opportunities and lives in the manner that has been the hallmark of the Obama administration. Do we wish to subsidize a foreign policy that is concocted by the likes of Samantha Power? Do we wish to see the United States entangled in yet another quagmire in that region in which we have far too few friends given our more than two decades of exertions? How much treasure has been spent, and how much of our blood has been spilled in the pursuit of policies with only vague platitudes about creating or supporting “democracy?” In which pest-hole has that so far succeeded? Frankly, that’s only controversial to a slimy, servile leftist press that is itching to get into Syria, and I believe that such an action is neither in our best national security interests nor in the best interests of our uniformed services that are already stretched far too thinly across the globe. Combat as charity must end. This model of intervention as a way to spread our wealth to countries whose residents almost uniformly hate us must stop. 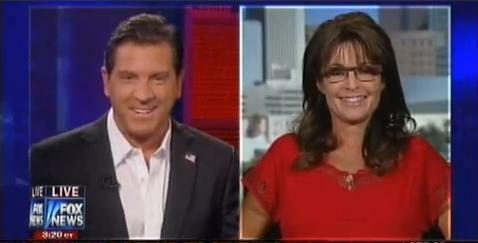 Only a bunch of globalist dimwits could find Governor Palin’s remarks on the matter controversial. The Bushies will hate this speech on that count, but also on her brief mention of “fertility,” as a small jab at Jeb’s foot-in-mouth episode of Friday. Her willingness to take on the immigration reform bill and the Gang-of-Eight who authored it place her in direct opposition to the DC establishment that cannot wait for more instant Americans to use as grease lubricating the treads of advancing big government. Politicians talk a good deal about running for this office or that, and since the election of 2012, I’ve noticed a number of politicians making some noise about running in 2016. Running is something politicians seem to do quite well, but in evaluating Governor Palin’s record, what I’ve noticed is that she stands. It might seem to be a trivial distinction, but I believe there’s something to be said for the difference. She stood against corruption from her earliest days in politics until the day she left public office in 2009, but even out of office, her stance on such matters has not changed. She stood on her record of opposing corruption when she decided to stand for election in her state’s gubernatorial race. It was Sarah Palin on a field in Iowa who raised the issue of “crony capitalism” that rattled the primary season’s entrants as they all scurried to avoid branding with that label. The corrupt President also felt the heat on the issue as the Solyndra scandal, along with others related to his phony “green jobs initiatives” were exposed. She still warns of the corruption that seems to multiply where governmental power and money intersect, but as much as that may mean to we conservatives, having stood firmly against corruption on both sides of the political divide, she hasn’t earned so many friends in Washington. That hasn’t deterred her,as stand she does, irrespective of her detractors, even when it has meant standing alone. Many politicians love to talk about compassion, but when it comes to acting it out, they employ the coercion of government as the means to their allegedly compassionate ends. Governor Palin is one of the very rare politicians who has said on numerous occasions that it is the voluntary compassion of Americans that she favors. Thinking about the difference inherent in this notion, permit yourself to wonder at what a better world it would be if compassion in America was once again restored to the province of personal choices made by millions upon millions of individuals acting out of love, rather than coerced by statist goons at the point of a gun. Some politicians run on notions of “compassion” that rely in the first instance upon a government boot on the necks of all Americans, irrespective of their personal travails of the moment, or the strains under which individuals find themselves in the pursuit of their daily lives. Instead, Sarah Palin stands for a compassion that is real, and unifying, but against the fraudulent “compassion” that divides so much of our society. 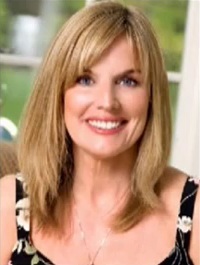 She speaks to the true compassion in the hearts of conservatives, a form of generosity that rings like Reagan’s message that compassion isn’t measured by the number of people languishing on government programs, but instead by the number who no longer need them. Governor Palin stands for constitutional principles, and whatever one thinks about the wisdom of this bit or that piece of our US Constitution, her vigorous defense of it all makes her quite unlike most politicians who merely run for office. Having been the governor of a rather unique state among the fifty, she was determined to see that the programs she worked to implement met the letter and the spirit of her state’s unique writ of governing authority. Any politician can run for office telling voters what they want to hear, but how many are willing to stand on principle for that plain old notion of first following and adhering to their respective departments’ highest laws? 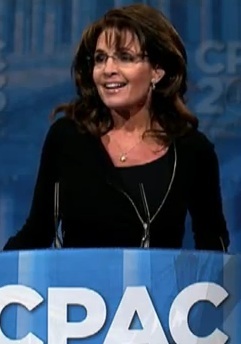 Governor Palin stood for the rule of law. In these dark days, we have instead a lawless President who ran for office promising to work around the law. It’s one thing to make empty or devious promises while running for office, but it’s another thing entirely to stand as a guarantor of the rule of law. Governor Palin recognizes that to undermine the supreme law of the land is to undermine its legitimacy, thereby endangering the republic it had forged, such that without this solid foundation, a people are left with no firm ground upon which to stand in their darkest hours. One theme on which Governor Palin has stood unabashedly firm is that the Republican Party’s establishment must ultimately bend its will to the interests of the country, or find itself displaced. It’s no secret around the country that so many in the grass-roots of Republican Party activism frequently feel betrayed, not only by the elected politicians, but also by the vast consultancy and the bureaucracy that likes things just as they are, however they may be, so long as the music continues to play and they can continue to cash their paychecks. Together, these comprise a healthy segment of that which she has termed the “permanent political class,” because no matter who is in power, whichever party may prevail in a particular election, they never go away, or never very far, because they have their hooks set so deeply into their victim: The American people. Her willingness to stand against the establishment of her own party, and indeed the entire sick machine that is Washington DC, has set her apart from all those others who run for office, run again, and then again, but who seldom seem to accomplish much of anything to merit their respective tenures. In an earlier time in our republic’s history, it was common to speak of politicians “standing” for election. These days, “running” seems all the more appropriate as most simply kick our nation’s can of troubles down the road one election cycle at a time, as they run for political cover. When I think about “running,” the next word that enters my mind is usually “away,” and in our modern political discourse, it seems all too frequently to have been the tactic of so many politicians to run from difficult issues, instead of standing for the principles previously espoused, with damnably few exceptions. When I think about the word “stand,” it has an entirely different meaning. To stake out a position and defend it, against the shrill critics and the maniacal media is a much harder thing to do, and yet throughout her career in public office, that is precisely what Sarah Palin has been doing all along. Take a stand. Make a stand. Stand your ground. I’m still standing. Stand and be counted. 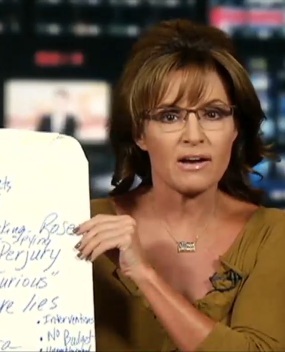 These are all phrases that come to mind when I consider Sarah Palin’s record. She has stood for her faith, her family, and her country, purposes she puts first in her life every day, but if this country is to recover from the Hell that’s been and the Hell that’s coming, it’s going to take leaders who are willing to do more than merely run for office. Mitt Romney ran. In the minds of many, in the final debate, he ran and hid. Contrasting this against the sort of defiance against corruption one witnesses from Governor Palin, and her continued willingness to take on her party, it’s hard to place the Sarah Palin into the context of running except as exercise. In my mind, playing over the chants of “Run Sarah, Run,” on an Iowa field, it’s never been more important to understand that what this country really needs is a leader who will stand. Some people simply aren’t suited to the sort of running in which most politicians engage, and I’ve long held that Sarah Palin is one of those political rarities who breaks the mold of the ordinary. I hope you’ll forgive me if indulge my own hopes for a country reborn, as through the din between my ears, I hear instead the chant of “Stand Sarah, Stand,” knowing that if she is called to stand for our republic, I, along with millions more, will cheerfully take our places standing alongside her in the battle for our nation’s future, whatever form it may take. Whatever form it may ultimately take, she will stand.